Fish and Chips is not popular (at least I don't think so) in the Philippines. However, on my second day in Canada, my parents brought Jomar and I to Pajo's in Steveston, Richmond to try exactly that. I was surprised at how big the portions were and well, you can never go wrong with fries, especially if it's unlimited and you can come back for more. Also, I have always liked salmon (whether raw, grilled, or in a soup) and seeing and eating it in deep fried goodness was amazing. Last Friday, Jomar and I went to my favorite fish and chips place in Vancouver so far - Tony's Fish and Oyster Cafe located near the entrance of Granville Island. I have been her 16 times (as of this post) because I love their salmon and yam fries. Another reason I love this place, it's a walking distance to work. When I am stressed out or needed a feel good food Tony's is my go to place. Moreover, I can enjoy it in all seasons whether it's raining or snowing outside, I can have my comfort food. Furthermore, their waitresses are super nice! One of them gives me a 10% discount because I am a regular (regular means I am here almost every 1-2 months). Close to Tony's, Go Fish is the complete package in experiencing Vancouver. 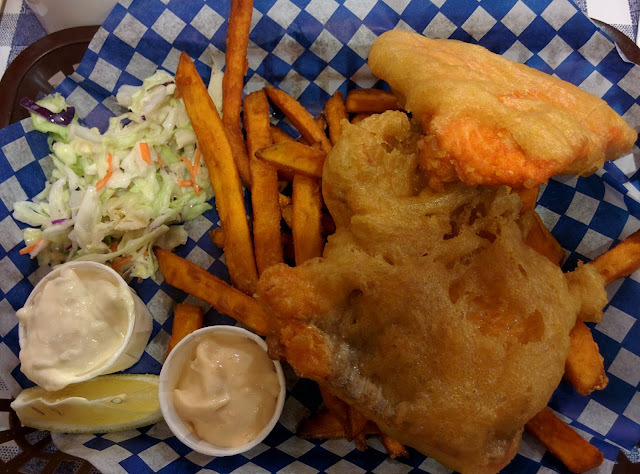 You have mountain and water view while enjoying your fish and chips on a clear summer day. They are close second to Tony's, for me, the only differentiating factor is the type of salmon they serve. The one in Tony's is pink-fleshed while in Go Fish, it's not. Though, Go Fish have the better side salad and tartar sauce. Yum! They have the best fish and chips in Richmond. No question. Though, you have to get it from their branch by the water instead of the one inside the airport. I could be bias but unlimited fries, water view, and since it's my first - Pajo's is my go to place when in Steveston. 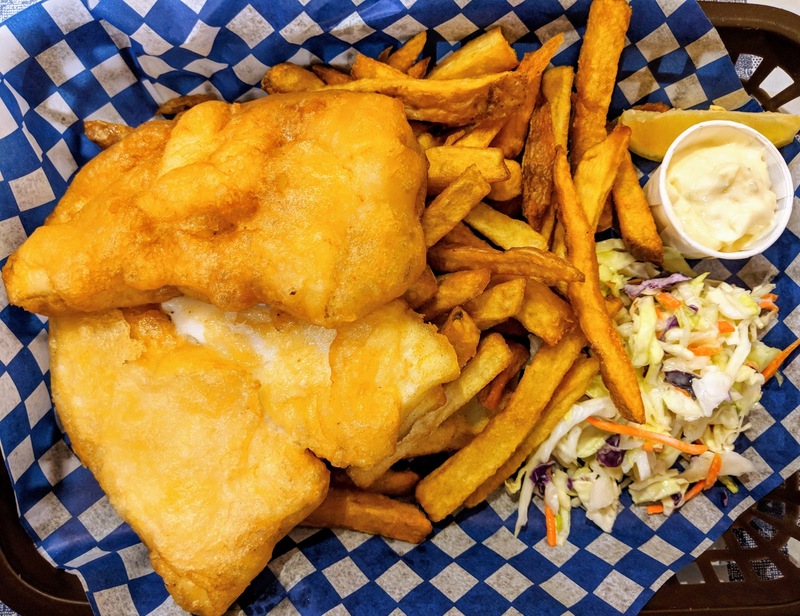 Do you have a recommended fish and chips restaurant that we should try? Please let us know in the comments below.